Cigarette Vending Machines Will Soon Be Illegal! Four months ago, at the end of January 2011, MK Uri Ariel proposed a new law that would ban the selling of cigarettes in vending machines. At the time, the initial reading of the law was passed by a majority in Knesset of 45-1. Yesterday, the proposal was finally finalized into law. 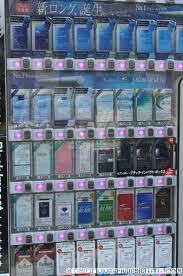 It will soon be illegal to sell cigarettes in vending machines, and the new law will take effect as of the beginning of 2014. It is amazing how this was not made into law many years ago. I have seen numerous young adults, even as young as 14 year olds, 15 year olds and the like, buying cigarettes in the cigarette vending machine in the shopping center near my house. Better late than never. In response to complaints from smokers that it will be much harder for them to buy cigarettes, Ariel responded that there is no need to take into account the interests of smokers. Anybody addicted, Ariel said, can continue to buy his cigarettes in the places that will continue selling them. Whoever will be forced to buy less because of the removal of the vending machines should just say thank you to us and stop complaining. Ariel said the ban would save many youth from the harm of the smoke that causes damage to the smokers as well as to those nearby. This has become a national plague that costs us billions of shekels, treating cancer and other diseases caused by smoking. It is a nice video. I hope they make an English version. We are not against having Jewish neighbors. I have Jewish neighbors and we have very good relations. But to bring a focal point of the settlements into the Arab population, that is crossing all red lines. There is a fight over a building. It was originally promised to be used as a community center for the children of the Arab community, but then the plans were changed and the building was given to a hesder yeshiva that will be opening under the auspices of Yeshivat Shaalvim. Srugim is reporting on the issue, and the suspicion is that because professional committees saw no problem with changing the objective of the building, this issue is being used as a way of stirring up the fight against "Judaization" of the city of Ramle. That does not bother me, and whatever happens happens. These types of fights happen in every city all the time. What does interest me is that in a city like Ramle, a city within the "Green Line", a city that is considered "mixed" with both Arab and Jewish communities, the opening of a yeshiva can be considered by the Arabs as being part of the settlement industry. "Settlements"? Within the Green Line? I thought the Arabs are ok with us, and have accepted the fact that within the Green Line we are here to stay? It seems like even within the Green Line we are settlers. I know that tidbit is nothing new, but the leadership of Israel seems to prefer to ignore that fact, that even within the Green Line we are all settlers. Kikar Shabbos website has recently come up with so many crazy stories and halachic decisions happening in the haredi community that they are starting to seem like the National Enquirer. I don't know if all these stories happened or not, if they were reported on accurately or not, and even if they did happen as reported why suddenly they are being publicized, especially in such great increasing frequency like never before. Perhaps it is simply greater media access than in the past, perhaps it is haredi journalists digging more for this type of information like never before or maybe it is something else completely. Either way, the stories and piskei halacha make for interesting discussion. The latest incident of interest is a story that happened in the apartment neighboring that of the apartment of the Kanievsky's. The apartment upstairs had been sitting empty for some time, as the elderly resident died. After some time, the family rented the apartment to a tenant, an avreich who wanted to live near Rav Chaim Kanievsky. He probably has had to pay a mint for that location. It seems that this avreich has been using the apartment but one of the rooms has remained unused. The family owning the apartment asked the tenant if it would be ok if they rented that room out separately to Kupat Ha'Ir, and the avreich agreed (probably happy to have some of his expensive rent deducted). Kupat Ha'Ir wanted to rent this location to make a shop taking advantage of the proximity to the many visitors to Rav Kanievsky's house, making it possible to solicit donations in great numbers. the rental went through, and Kupat Ha'Ir hired a contractor and began renovations to make the room usable. Sure enough, instead of just renovating the room, they also opened up a new window and door right out facing the stairway to Rav Kanievsky's apartment. The tenant, and the owners eventually, protested the changes to the apartment, and expressed their distaste at their apartment being used as such a collection store (I am not sure why they rented it to Kupat Ha'Ir in the first place if this is true. What did they think Kupat Ha'Ir was going to use it for?). So, according to Kikar, the tenant, with the owners on his side, went to beis din and got a restraining order against Kupat Ha'ir from making such changes. Kupat Ha'Ir ignored the restraining order issued by the beis din and yesterday showed up and continued the renovations. After the police were called in, The Kupat Ha'Ir administration decided to go to Rav Chaim Kanievsky to ask if they could continue or if they should stop. Rav Kanievsky refused to answer and told them to go to beis din. Later in the day Rav Kanievsky called them back in and told them to stop the construction. He told them to back off the idea and forget about opening up such a store upstairs. Rav Kanievsky explained that because there is at least the appearance of deception having been used, they should back off. No bracha can come from deception and dishonesty. The Kupa people responded that they would listen to his words and cancel their plans, even at great loss. My guess is that now they will create a campaign to raise money for donors to get the zchus of listening to Rav Kanievsky and help cover the losses. Jewish Chicago is becoming familiar with the Chicago Bears 2011 first-round draft pick, Gabe Carimi a.k.a. The Jewish Hammer, a.k.a. The Bear Jew. Gabe Carimi is taking Jewish Chicago by storm. While growing up Reform, Carimi remains a Jew with a strong identity and is willing and seemingly happy to get involved in Jewish events and with Jewish organizations of all denominations. The prospect of meeting Chicago Bears rookie tackle Gabe Carimi at the Great Jewish Family Festival on Sunday was a mixed blessing for Dovid Weingrow, 11. He is a boy of divided faiths: a Chicago-area Jew, a New York Jets fan. Still, the anticipation that Carimi could be the best Jewish Bears player since quarterback Sid Luckman is a source of pride for Dovid. "It shows that Jews are not just scrawny little people," he said. "Jews can go far (in sports)." Carimi was the featured leader of the festival's kickoff parade. His pick by the Bears has been big news in the Jewish community and the subject of rapturous blog posts. Sunday, in the parking lot of Westfield Old Orchard shopping center in Skokie, local fans had their first chance to take in, in person, the 6-foot-7 player whose latest nickname was inspired by the Nazi-clubbing character in Quentin Tarantino's WWII adventure "Inglourious Basterds." Chicagoland, meet "Bear Jew." "Bear Jew," meet Chicagoland. The Great Jewish Family Festival, sponsored by Lubavitch Chabad of Illinois to mark the observance of Lag B'Omer, a Jewish day of celebration, also marked Carimi's first public event since the Bears drafted him in the first round last month. It was something of a coup for the festival, said Rabbi Daniel Moscowitz, the organization's regional director. "I think it's wonderful when any (Jewish) celebrity comes and participates with the community," Moscowitz said. "It's always important for people to have pride, and this is a way to do it." Is the rabbi a football fan? "I am today," he said, laughing. "It has been a while since any Chicago team has had a great Jewish athlete," Jeremy Fine, a blogger for Oychicago.com, recently noted. Outreach to the Jewish community is important, Carimi said in an interview before the parade, which just beat out a sudden downpour that scattered participants. "I've been in the same community in Madison, Wis. (where he was raised and attended the University of Wisconsin), and am looking forward to branching out to a new Jewish community and setting up friendships here," he said. Carimi, winner of the 2010 Outland Trophy, awarded to college football's best interior lineman, represents the Great Jewish Hope, especially for older Jewish sports fans who remember rallying around the Bears' Luckman, the Cubs' Ken Holtzman and Steve Stone, and the Detroit Tigers' Hank Greenberg. Jewish Chicago is looking forward to following Gabe Carimi's career from so close, and we expect Carimi will make us proud, both on the field and off. This piece from The Onion is pretty funny. The Pyramids need a touch up, as some bricks are crumbling and the wear and tear is starting to show.. Citing thousands of years of grueling wear and tear on its famed pyramids, the Egyptian government recalled the Jewish people yesterday. The Jews, though currently spread throughout the world in a global Diaspora, are in the process of returning to Egypt to repair damages the Pyramids have suffered over the last 4,000 years. With such famous landmarks as the Sphinx and the Great Pyramids in horrible disrepair, Jews from around the world packed up their belongings and headed back to Egypt, where they will toil for centuries for the Pharaoh. The Jews were urged to return by a forceful letter sent to every Jewish household in the world. The letter strongly suggested they return, if they knew what was good for them. Fine is one of millions of Jews, or “Hebrewites,” who hastily quit his job, sold all his worldly possessions, and boarded one of the thousands of charter jets heading to Cairo International Airport. Jews are massing in the Egyptian capital, where they are being sent out in labor teams of 600 to replace stones, repair crumbling walls and reinstall statuary to the sun god Ra. They will do this not only for the rest of their lives, but also for the lives of their children and their children’s children. To repair the pyramids, the Jews will employ many of the same effective building techniques used during their first construction, including the lever and the pulley. The Jews first built the pyramids between 2686 and 2181 B.C. under enslavement by numerous pharaohs. Only after Moses, a prophet of the lord Yahweh, rose up to lead them were they able to escape into the desert and relocate to the promised land of Israel. According to published reports, the Jews spent 40 years in the desert subsisting on an unleavened bread product and water, which was found by smashing magical scepters into rocks. Once again, the Jewish people are hoping for a prophet to rise up from among the people and lead them back to freedom. This prophet may be Florida lawyer Barry Stern, whose successful defense firm in Fort Lauderdale has freed many white and blue collar workers from potential incarceration. Though they do not fear legal recourse, Egyp-tian officials are hopeful that the Jews won’t pull out in a similar manner as last time, visiting a host of deadly plagues on the Egyptian people. This culminated in the parting of the Red Sea, which drowned over half the Egyptian army. Thomas Friedman always believes that when the US says "jump", everyone, especially Israel, must simply ask "how high". According to Friedman, nobody, especially Israel, has a right to have interests beyond what the United States says. And that's even when the command "jump" has already been followed through unsuccessfully. 2. Was FDR A Sufi? This is definitely unusual. A haredi yeshiva in Jerusalem has founded a youth soccer team that will compete in the city league and tournaments. Mynet reports that Yeshivas Darchei Torah of Jerusalem, founded a few years ago by Rabbi Yoni Yisrael, for the purpose of learning while training the boys in vocational skills, has founded a soccer team. The team has been practicing for a city-wide tournament starting next week. As Mynet says, the team players wear their black yarmulkes, tzitzis and peyos, and have the support of the Beitar Jerusalem soccer team. The rosh yeshiva says he decided to do this because the yeshiva boys love following the Beitar Jerusalem team. They founded the team and were put in contact with the fitness administrator of the youth department of Beitar Jerusalem He began training them, and they have developed a special relationship. They have even been allowed to train on the teams home field, and the team has considered donating equipment to the youth team. The trainer says these boys show more respect for the trainer than the average teams. The government and the nation are committed to Jerusalem, and this is one of the unified foundations of the Nation of Israel. I stressed these things before the Members of Knesset and before the American Congress. It is important that the world should know that we are faithful to Jerusalem. The government will today make a decision to commit 400 million NIS to invest in education grants, strengthening important national heritage sites, bio-technology and more..
Chassidim commonly keep the times according to the decisions of Rabbeinu Tam who considers sunset to be later than the generally accepted time. Many people keep the times of Rabbeinu Tam only "l'chumroh", meaning they accept Shabbos at the normal time and do not do melacha after the normal time, but keep Shabbos on Saturday night until the later time of Rabbeinu Tam. Some people however, a number of hassidic groups in particular, keep the Rabbeinu Tam times completely, not just l'chumroh. They start Shabbos according to the later times, they will not daven maariv before the later times, etc. When I was first learning in depth the issues of the times and learned that some people keep the later times completely and not just l'chumroh, I asked some hassidic friends (from different groups) what they do. I got mixed results, but some definitely told me they follow the times of Rabbeinu Tam completely and not just l'chumroh. Kikar is reporting on a psak of Rav Elyashiv that disputes the rights of any specific hassidic leader and group to follow Rabbeinu Tam times completely, and only allows it l'chumroh. An unnamed hassidic rebbe determined that a baby born on Monday evening, 20 minutes after sunset, should be circumcised the following Monday (rather than Tuesday), as 20 minutes after sunset is still considered Monday, as it is before the sunset of Rabbeinu Tam. The psak was nothing new, as this hassidic group, among others, follow the Rabbeinu Tam times completely. The situation was presented before Rav Elyashiv who was shocked to hear that the baby would be circumcised on Monday instead of Tuesday. Rav Elyashiv said that by doing so they are transgressing a, issur d'oraisa, and it doesn't matter how many thousands of hassidim are affected and must redo their bris milah (by being required to perform a hatafas dam bris), and it does not matter how old they are. When asked that they are hassidim and keep that psak of Rabbeinu Tam, Rav Elyashiv supposedly responded that what does it matter that he is a hassid? Do Hassidim not keep the Torah? The accepted psak has been NOT like Rabbeinu Tam. According to Rav Elyashiv's psak, if reported accurately, any person circumcised according to the times of Rabbeinu Tam will have to consider himself having been circumcised on the 7th day rather than the 8th day, and will be required to do a hatafas dam bris to rectify it. I don't know what happened to "eilu v'eilu" and why hassidim are not allowed to keep the times according to the psak of their leaders, but so Rav Elyashiv is being quoted..
בואו לבקר במקום בו יצחק כמעט הועלה לעולה, היכן ששלמה בנה את בית המקדש הראשון לפני 3,000 שנה, המקום בו הורדוס בנה את בית המקדש השני, והרחיב את חצרותיו לאיפה שהיום נמצא מסגד אל אקצה, ובעיקר- בואו להבין על מה כל הרעש. Come visit the place where Isaac was almost sacrificed as an "olah", where Solomon built the First Temple 3000 years ago, where Herod built the Second Temple and expanded its courtyards to where today includes the Al Aqsa Mosque, and mainly come to understand what all the fuss is about. I wonder if the Waqf, or the Israeli police, will let them have a quiet tour or if they will be harassed by the police and if the Waqf will make trouble and threaten to riot. While we have received occasional updates about the status of the three boys arrested for smuggling drugs into Japan, along with frequent collections appeals on their behalf, I don't remember seeing updates regarding the drug dealer menuval who took advantage of them and sent them off to Japan carrying drugs. The three boys in a Japanese jail: One boy was serving his sentence, eventually was transferred to serve the remainder of his time in a prison in Israel. He was eventually pardoned and has been released. One boy just had his appeal in Japan rejected, and he will be serving i think 3 more years in prison in Japan. The third boy is waiting for his appeal to be heard. Needless to say, the families of the three boys are pretty upset that he is being released while the boys (2 of them at least) still sit in jail. The following picture was recently spotted hanging in one of the stalls of the Machane Yehuda Shuk in Jerusalem. Jewish Comedian and Commentator Jackie Mason comments on US President Barak Obama's recent speech regarding Israel and the June 4, 1967 borders. Do you have what it takes to build a winning team? Do you know the feeling when your favorite team is struggling and you have plenty of ideas what could be done to make it better? Do you think at such times that you could do a better job of managing the team than the real man in charge? Or perhaps you think that your friend, who was sitting next to you at the match, is acting like he knows everything, but in fact he is just babbling without making any sense. Now there is a place where you can prove to yourself and your friend alike that you are right. It is quite normal that after your team loses one, hundreds or thousands of self-styled coaches and managers are leaving the match convinced that they could lead the team to more success. Why talk when you can try it yourself. 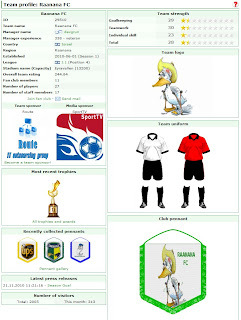 All you need to do is to register at www.powerplaymanager.com, create your own football team and see what it’s like to be a manager and a coach. It gets even better when you bring a friend to the game to see who is better. You find out very quickly that being a manager of a football team is not as easy as it seems. It’s not only about making sure your team wins, but you must also take into account the financial budget of your team. You have to make some tough choices at times and not everything goes according to plan. That is PowerPlay Manager. Every day, you need to make decisions that may or may not be beneficial to your team. Sometimes you make the wrong choice, but it’s important to keep going. At the beginning you get a team with very modest infrastructure. With time and a lot of patience, you can build a team that will be advancing up and up the league ladder. It’s a long and difficult way to the top and only a select few will reach it. But you can give yourself different goals. For example to beat your friends in a private tournament or in a friendly match or to get as far as possible in the National Cup. But the most important thing is that this game will fully test your manager skills. From the ability to build a team, through economy, signing sponsors, hiring staff, stadium and facility building to youth training, ability to pick the right practice, tactics for the match or setting up the right formation of the players on the pitch. To get even more into your role of manager, you can issue regular press releases about the happenings in your club. Finally, when everything is set up, just sit back, turn on PPM TV and watch the match of your team live. Jim Cramer, the financials and investment advisor guy with the tv show, is a big fan of SodaStream. Herb Greenberg is not a fan of SodaStream. CNBC's Jim Cramer and Herb Greenberg took the Sodastream vs. regular soda taste-test challenge, and at least one of them is surprised at the winner. Now that you watched it, I think this is a great indicator, it's not a scientific study so I cannot say proof, of how surprisingly good SodaStream is. The Electric Company has been encouraging the creation of solarium fields as a way of both saving money from the cost of electricity, and as a way of making money by creating energy and selling it back to the electric company. The City of Bnei Braq decided to build a solar field, and issued a tender to that end. They received the approval of Rav Chaim Kanievsky, as they were concerned that some of the electricity produced would be distributed among people who desecrate the Shabbos. Rav Kanievsky said that there is no definitive assumption that the electricity created would be used by mechalelei shabbos, and therefore it is ok. In recent days experts went to Rav Elyashiv claiming that after an in-depth analysis of how the system works, with the electric company changing and improving the system, and have found that the electric company has now transfers the new electricity automatically, putting it back into use immediately. The immediate turnaround increases the chances of the electricity that would be created by the City of Bnei Braq to be used by people desecrating the Shabbos. Rav Yisrael Rosen, head of Machon Tzomet, responded to the news by expressing his doubts as to the accuracy of the report, saying that there is no reason to be concerned, as the whole purpose of the solarium is to have everything automated. Being concerned about this is similar to the rain falling and watering fields on Shabbos. Nobody is involved in any aspect of the production or transfer of the electricity, not a Jew nor a non-Jew, and therefore it is fine. And Rav Rosen added, if the concern is that a person might use such electricity on Shabbos, a person selling pens would have a problem as the buyer might use the pen on Shabbos, a person buying anything might use it on Shabbos, so how can anybody religious sell anything that might end up being used by someone else on Shabbos? Another possibility as to the source for the issur might be that Bnei Braq would be profiting from something created on Shabbos. Rav Rosen adds that if that is the problem it is no worse than the generators used in Bnei Braq on Shabbos, as those cost money to operate, and the operator is then profiting from the electricity sold on Shabbos. Rav Rosen continues, saying that there seems to be no reason to prohibit, and in fact such solariums should be encouraged and expanded as they prevent chilul shabbos by taking the issue out of the hands of people and automating the entire system. A possibility I thought of is that this psak only refers to Bnei Braq specifically and not to solariums in general. perhaps Rav Elyashiv thought that a city like Bnei Braq that is completely machmir and makpid like the Chazon Ish to not allow electricity on Shabbos and only use generators would suddenyl be creating electricity and selling it to mechalelei shabbos. Maybe it was simply a matter of the oxymoron of Bnei Braq being so machmir and on the very same issue selling to mechalelei shabbos. Whereas elsewhere perhaps it would not be th same problem and maybe solariums would be allowed. I would like to see Rav Rosen try to go to Rav Elyashiv to discuss the issues with him and come to the bottom of this. We have a psak that is unclear, with pretty decent objections raised. Did he say it as is? Did he say it differently? I am not sure what to think of this story - a woman is suing the chevra kadisha of Netanya, for 32,000 NIS, for "forcing" her and other women to stand separate from the men at the funeral of a friend. A resident of Netanya recently filed a suit for NIS 32,000 (roughly $9,000) against Chevra Kadisha after she was asked to stand separate from men in a funeral she attended. "This is discriminatory and is against our world view," she claimed. Susan Ayad said that last January she attended the funeral of a close friend in a Netanya cemetery. As they gathered in the eulogy square the mourners were shocked discover that large planters dividing the floor into two parts. "The rabbi holding the service on behalf of Chevra Kadisha asked the men to stand on one side of the partition and the women to stand on the other side," the claim stated. "Despite the objection of many of the mourners we avoided causing a stir in light of the sensitivity of the event and reluctantly adhered the rabbi's instruction. I was also forced to move to the women's side and was separated from my acquaintances." Ayad claims the forced separation sparked feelings of humiliation, rage and insult. "I don't understand how in a public place such as a cemetery someone can order me where to stand just because I'm a woman." She consequently filed a suit with the Netanya Small Claims Curt against Chevra Kadisha with the help of the Progressive Judaism Movement's legal aid services. The claim states that the segregation does not only hurt women but all those present at cemeteries seeking to spend time with loved ones. Ayad referred the court to Israel's anti-discrimination law which was the basis for a claim against bus segregation. She motioned the court to order Chevra Kadisha to pay NIS 31,900 in compensation. Elements at the Progressive Judaism's pluralism center called on anyone who experienced a similar act of discrimination to approach them, suggesting there may be a more extensive campaign on the issue. While a funeral is not really a prayer service, though kaddish is said, it is common to at least stand separately during the eulogies, though often that is without barriers placed demarcating the separation. It is also fairly common that there is no formal separation. It seems to generally be up to the discretion of the chevra kadisha and/or the family. The article also does not say the family was or was not religious, nor does it say if the family wanted it or not. the only comment seems to be of a friend. I wonder if the family had wanted the separation, would she sue the family for forcing segregation upon her? So, I don't know what to think. Is it right or wrong to have such a separation at a funeral? It is common, but must it be so? Is it cause for a lawsuit? While PM Benjamin Netanyahu has been in Washington for a few days now, he took the time to go for a long walk with his wife, Sara Netanyahu, around the landmarks and sites of Washington D.C. While on the walk, Netanyahu showed his great proficiency with American history and culture, explaining the significance of different sites, repeating completely from memory the full text of the Declaration of Independence, quoting statements from different leaders when passing their memorials, etc. One incident of interest was what happened when passing the memorial of Franklin Delano Roosevelt. “The only thing we need to be afraid of is fear.The only thing we need to fear is fear itself." Netanyahu then added, Did you ever hear of Rebbe Nachman of Breslov? Do you know what he said? The Borders of June 4, 1967 Are Indefensible.. Are They Really? I don't understand why Bibi, PM Benjamin Netanyahu, keeps saying and insisting that the reason we won't go back to the borders of June 4, 1967 is because those borders are indefensible. As a matter of fact, those borders proved very defensible. The Six Day War was perhaps Israel's greatest military victory (I only say perhaps because perhaps the War of Independence in 1948 was greater, as there was no real army, nor weapons, at the time) in the 63 years of Israel's existence, fending off three invading armies from hostile neighboring countries with populations far greater than Israel's. And Israel did it fighting from behind the borders of June 4, 1967. So the 1967 borders are defensible, or at least as defensible or indefensible as any other border delineation. The only thing I might add is that by saying it, and continuing to repeat it and pound it into the world's minds, we are minimizing the victory, minimizing the intervention of Hashem mind you. Bibi's speech, as always, was great. There is nobody today who can speak about anything and about Israel in particular, the way Bibi can. The line about the borders being indefensible bothers me. Kikar is reporting on an incident that recently generated an interesting halachic question, with an interesting psak from Rav Elyashiv. A widow recently came to Rav Elyashiv with a question. She has four children from her deceased husband. Her husband had been sick and suffered greatly for a few years, until he eventually died. Shortly before his death he made a request of her that she promise that after his death she would not remarry. She says that being full of emotion at the time she accepted his request and told him that she would not marry anyone else after his death. Now it is a few years later, and while she has kept her word until now, she now feels it is time to move on and get married. She asked Rav Elyashiv what to do about her original promise - should she not get married or can she get married anyway? An unreasonable request made by a man on his deathbed, leads to a tough question on her end. Rav Elyashiv first tried to clarify whether she had originally responded making a promise, taking an oath, or if she simply accepted his demand. While she could not answer definitively how exactly it had been worded, she rejected the possibility that she had said it as a form of a nedder. Rav Elyashiv then answered her question by saying she is allowed to get married. The reason is that when the deceased's soul ascended to heave, he definitely would have changed his mind and wanted her to remarry. At that point he definitely would have realized the importance of her continuing her life, and he would definitely even be happy that she is moving on and getting married. My uncle's website, cholimlist, has been featured on Arutz7 (INN), specifically in regards to the Gilad Shalit Worldwide Tehillim Project he has running there. The Gilad Shalit Worldwide Tehillim Project is a group signed up to say tehillim every day until Gilad Shalit is released from captivity. You can join at any point, stop at any point, sign up for as many chapters as you want. As far as the general cholimlist tehillim site, if you know someone sick, you can create your own ring of tehillim sayers, have people sign up, email updates to the participants, let people know when they can stop, etc. A new website for reciting Tehillim (Psalms} for sick people features a section for prayers on behalf of kidnapped soldier Gilad Schalit, while Hamas renews rumors on new talks for his release. The website was put together by Barry Kupfer, who initiated the Gilad Schalit Worldwide Tehillim Project as part of his site that tracks the names of sick people for whom prayers are said for their recovery. The site also lets users know when to stop saying Tehillim, and lets synagogues create their own lists with their members being able to keep the records up to date. Schalit was kidnapped by terrorists from the Army of Islam, the Popular Resistance Committees and Hamas in June 2006 during a deadly attack on an IDF checkpoint near Gaza, in which two soldiers were killed. The new project comes as Hamas winds up the rumor clinic again with reports that it is resuming negotiations with a mediator and that Israel has agreed to free 20 terrorists “with blood on their hands” in return for Schalit. The soldier’s physical and psychological conditions are not known, and Hamas continues to defy the Geneva Convention by refusing visits by representatives of the International Committee of the Red Cross (ICRC) and communication with his family. 5. Does Judaism Require Submission Within Marriage? the volunteers of the rescue organizations were prepared last night for a mass casualty event with the El Al plane having technical trouble, and everyone being concerned it might crash. Clearly Obama's plan is no different, aside from a few small details, from that of George Bush. Now he refers to the 1967 borders as sacred, but who says we accept them, and that we won't speak of the '48 lines? They did not change their names, their language nor their style of dress. These are the three ways in which Jews have always been unique, and why we merited leaving Egypt, and presumably many other salvations we have experienced through history. So we are told. In the post-Royal Wedding era, after the world has seen the fairy tale style wedding of Prince William and Kate Middleton, somebody, an Israeli, was so inspired, so moved by the wedding, that he decided to change his name. he was going to change his name to a combination of names from 10 different monarchs. The names he requested be listed on his identification card are: Henry, William, Phillip, Charles, Frederick, Michael, Louis, George, Edward, and Robert. The clerk who accepted the man's plea was somewhat skeptical, but said he would check if the request was legally plausible, according to the man's account. A few days later he received a call saying the change was not possible, the explanation being that it would "mislead the public". The clerk then proposed a compromise, asking the man to choose just three of the 10 names for his ID. "Thousands of people change their names each year in Israel, some of them at the advice of a rabbi and others at the advice of psychics, in addition to those who want Hebrew names, but we've never seen such an odd request," the Population and Immigration Authority explained in a statement. "We see many requests that derive from a desire to be special or unique, and only in extreme case in which we feel that the public will be offended do we veto the request." Perhaps another good thing about the State of Israel is that the government encourages our remaining unique in these ways, not allowing crazy people to change their names like that..
Another thought is to employ the talmudic rule of "Tafasta Meruba Lo Tafasta". When you try for too much, you don't get anything. Had he chosen just a couple of names, perhaps 3 as the clerk suggested, his request might have been immediately granted. yet he chose 10 names, which was too much. Gene Simmons from KISS, who is originally Israeli by birth, slams Obama's recent statements. I love him. he is great, the way he just says everything that is on his mind..
Amazingly, the CDC, the Center for Disease Control, either has a sense of humor or takes the threat of a zombie attack very seriously. 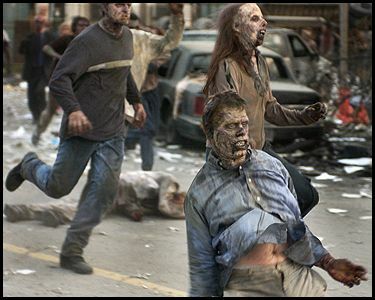 The CDC has published a page of information of how to prepare for a possible zombie attack. We’ve all seen at least one movie about flesh-eating zombies taking over (my personal favorite is Resident Evil), but where do zombies come from and why do they love eating brains so much? The word zombie comes from Haitian and New Orleans voodoo origins. Although its meaning has changed slightly over the years, it refers to a human corpse mysteriously reanimated to serve the undead. Through ancient voodoo and folk-lore traditions, shows like the Walking Dead were born. In movies, shows, and literature, zombies are often depicted as being created by an infectious virus, which is passed on via bites and contact with bodily fluids. Harvard psychiatrist Steven Schoolman wrote a (fictional) medical paper on the zombies presented in Night of the Living Dead and refers to the condition as Ataxic Neurodegenerative Satiety Deficiency Syndrome caused by an infectious agent. The Zombie Survival Guide identifies the cause of zombies as a virus called solanum. Other zombie origins shown in films include radiation from a destroyed NASA Venus probe (as in Night of the Living Dead), as well as mutations of existing conditions such as prions, mad-cow disease, measles and rabies. Some of the supplies for your emergency kit. Identify the types of emergencies that are possible in your area. Besides a zombie apocalypse, this may include floods, tornadoes, or earthquakes. If you are unsure contact your local Red Cross chapter for more information. Israeli Chumus Emerges Victorious Again! And in more chumus news, the De Paul University student referendum to pressure the school administration to remove the Sabra brand of chumus/hummus from being sold on campus has come to a close this past Friday. The referendum failed to garner enough support, as 1500 votes in favor were required, and less than 1200 were achieved. The organizers of the referendum are still hopeful, saying it is now in the hands of the school administration to decide. While that is true, it is also true that the referendum was non-binding even if they had garnered enough support and the decision would have remained in the hands of the administration. Now that they failed, it is unlikely the administration would go ahead anyway and support their position. DePaul University officials say a referendum that sought to have the hummus brand currently served on campus removed has failed. The effort to remove Sabra hummus from the university's cafeterias required 1,500 total votes to pass. The measure received only 1,127 total votes by the time polls closed Friday. The referendum was placed on DePaul's Student Government Association's officer election ballot by Students for Justice in Palestine. The organization contends the owner of Sabra, the Strauss Group, gives financial support to two Israeli military units accused of human rights abuses. 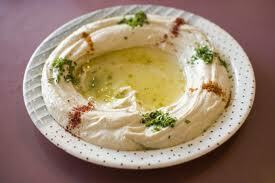 New York-based Sabra is a leading seller of hummus. Its parent is Israel's second-largest food and beverage company, with interests worldwide. The vote was non-binding on the university, with such decisions left to the administration after research is done. One of the common customs of Lag B'Omer is the chalaka, the first haircut for a 3 year old boy. It really does not have much to do with lag B'Omer - no matter when the boy's birthday is, the parents will delay the first haircut until the 3rd birthday. This custom, based on the Zohar, used to be common mainly among sefardim and chassidim, and today many Litvshe do it as well. However, many try to delay it until Lag B'Omer, especially if the 3rd birthday is around Lag B"Omer time, and then they throw the hair from the haircut into the fire. The rabbonim of the Tzohar organization came up with a nice idea. A way to capitalize on the minhag of cutting the long hair of these children and actually do some good with it at the same time. They have decided to encourage those who perform this custom to collect the hair and donate it to organizations, such as Zichron Menachem, that make wigs for people with cancer. It is a great idea, and is one that can help, at no cost to the donor, others in need. Unfortunately, the idea was only publicized today, as far as I know. At least, I only saw it today in the Arutz 7 website. Announcing such a program on "the day of" is a little pointless. Few people would see such an announcement, or have the patience at the last minute to deal with making the proper arrangements. It is almost like the Chief Rabbinate starting a push to have Lag B'Omer bonfire pushed off to Sunday just 2 weeks prior to Lag B'Omer. How can anybody make proper arrangements under such short notice? Sure, a bonfire can be pushed off a couple of hours, but can school schedules be rearranged, can tests be rescheduled, under such short notice? of course not. And it is not like Lag B'Omer's arrivals surprised anybody. It happens every year on the same date. It is published in the regular calendars in Israel. With just a little foresight these people would be able to get their great ideas actually implemented. I praise the Prime Minister. He showed leadership that extends from a long line of Israeli prime ministers, from Ben Gurion until Begin.... The struggle and dispute over the '67 lines is the fundamental conflict with the Americans and I think that at this time it is clear to everybody that this outline is very dangerous, and that nobody, not even Tzippi Livni, is able to sign such an agreement. The prime minister must first take into account the good of his people and not right away move to concessions. We see a Middle East map in which the outline that Obama recommends is dangerous, and the majority opinion in Israel is clear - we are not prepared to go to a Palestinian state that will threaten our existence and we are not prepared to concede our historical homeland. Randy Macho Man Savage with buddy Hulk Hogan. I probably watched this WrestleMania on a Saturday night. This post is in honor of an old friend who pointed this out to me and reminded me of a lot of time wasted as a young teenager watching what was then called the WWF, World Wide Wrestling Federation. Pro wrestling superstar Randy "Macho Man" Savage died after having a heart attack while driving his Jeep Wrangler, Fox News confirms. The accident happened in Seminole, Fla.
A source tells Fox News that he "suffered a heart attack while driving and hit a tree." Florida Highway Patrol said Savage, 58, leapt a concrete median, veered into oncoming traffic and smashed into a tree head on. He died from his injuries at largo Medical Center. The life of a professional wrestler has been unkind to many, as they have battled their own demons and personal tragedies. Savage, whose real name is Randy Poffo, had just celebrated his first wedding anniversary with his wife Lynn. It was his second marriage. Lynn was in the car at the time of the accident, which was first reported by TMZ. She suffered only minor injuries. He married his first wife Elizabeth Hulette, better known as "Miss Elizabeth," in 1984. They divorced in 1992. She ended up dying from a drug overdose in 2003. World Wrestling Entertainment said in a statement that Savage's death was a huge loss. "WWE is saddened to learn of the passing of one of the greatest Superstars of his time, Randy Poffo, aka Randy "Macho Man" Savage. Poffo was under contract with WWE from 1985 to 1993 and held both the WWE and Intercontinental Championships. Our sincerest condolences go out to his family and friends. We wish a speedy recovery to his wife Lynn. Poffo will be greatly missed by WWE and his fans." The wrestling world took to Twitter to grieve over the former wrestler. "He had so much life in his eyes & in his spirit, I just pray that he's happy and in a better place and we miss him," Hulk Hogan posted on his Twitter account. "RIP Randy 'Macho Man' Savage - you were one of my childhood inspirations and heros. Strength, love and prayers to the Savage/Poffo family," Dwayne "The Rock" Johnson said on Twitter. "I lost a close friend today. If anybody in heaven is wondering who the cat in the ugly cowboy hat is it's Randy. Love you Bro. Never another," Kevin Nash tweeted. 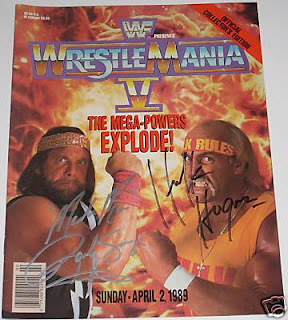 Savage helped put WWF wrestling on the map in the 1980s and '90s, becoming, along with Hulk Hogan, one of its biggest draws. His outrageous outfits and his "Oooh Yeah!" catchphrase made him a fan favorite. He also used to be the pitchman for Slim Jims. Randy Poffo? really? Randy Poffo was his real name? Many good Saturday nights were wasted enjoying the antics of guys like Randy "Macho Man" Savage, Hulk Hogan and others. Mark Regev, the Spokesman for Prime Minister Benjamin Netanyahu, on Al Jazeera, commenting about Netanyahu's trip to the United States and his meetings with Obama to this point, and about the possibility of negotiations with the Palestinians.. I love how Glenn Beck just crosses countries off the board for no particular reason saying they are not allies of the US.. In a joint press conference, PM Benjamin Netanyahu responds to president Obama by saying Israel will not return to the 1967 border, as these borders are indefensible. Despite that, the Palestinians should return to negotiations as all problems can be resolved, including the refugee problem. Rabbi Yakov Horowitz, the rosh yeshiva of Yeshivas Darchei Noam of Monsey and the Director of Project YES in Agudas Yisrael of America, has designed a new style of chumash workbook and has just released it. See http://www.rabbihorowitz.com/PYes/ArticleDetails.cfm?Book_ID=1475&ThisGroup_ID=235&Type=Article&SID=2 for more information. The new chumash is unique in the sense that it is a skills oriented chumash workbook. The Shawarmatron! the first shawarma cutting "robot" in Israel is in action in a shawarmia! No more shlubby guy sweating into the shawarma he is cutting! People in their year of mourning for deceased relatives are generally not allowed to participate in celebrations and group meals with friends. Rav Shteinman was recently asked if mourners are allowed to go up to Meron for Lag B'Omer celebrations by the kever Rashb"i, by the grave of Rabbi Shimon bar Yochai. The question is whether the celebrations that happen in Meron are considered a hilula, festivities commemorating the death of a tzaddik, or if they are considered joyous celebrations like parties and group meals. Rav Shteinman's initial response was that he is unaware of the nature of the festivities on Lag B'Omer in meron, however when he was there at a different time of the year the atmosphere was serious and appropriate. Rav Shach, he said, prohibited people from going to Meron on Lag B'Omer because of the inappropriate and immodest celebrations taking place there, however, Rav Shteinman suggested, today might be different because supposedly there are mehadrin routes to the grave that avoid the general, inappropriate celebrations. Rav Shteinman committed to finding out what really happens in Meron so he could give a correct psak. Rav Shteinman investigated the routes up, he asked everybody who came to speak with him if they had been to Meron on Lag B'Omer and if they answered in the affirmative he would press them for details. Rav Shteinman became convinced that there has been a change for the better in the situation in Meron on Lag B'Omer. While there still might be inappropriate celebrations, one can easily avoid them by using the newer mehadrin routes. However, he also found out that there is a band playing music all night long at the main bonfire. As well, along the way there are many booths, peddling different things, that also play loud music along the route, all creating a celebratory atmosphere. I am impressed that Rav Shteinman did not just assume what he heard about ti was correct, but he went out of his way to investigate exactly what happens so that he could give an informed psak. It does not bother me that he did not know already what goes on, as the concept of going en masse the way people go nowadays is really new, and is mostly from the chassidim and sefardim. The fact that today litvishe and others go as well is a sign of the influence the chassidic communities have had on the litvishe and general ashkenazic communities. Rav Shteinman did not know because going is not an issue in his crowd. As a matter of fact, many gedolim over the years have been against going to meron, most notably the Chasam Sofer. "'Bloc' has various meanings, [the] choice of words was meant to form a wide national front on settlements...It is possible it didn’t work in the Knesset, but I feel it struck a chord with the public. What I said is that everything is based on our demands: recognition of Israel, a united Jerusalem and no right of return. Interestingly, a female Conservative rabbi, Rabbi Joyce Newmark from Teaneck, NJ synagogue Congregation Beth Shalom, was a contestant on Jeopardy a couple days ago. Actually, she was a contestant on the show in February, but it only aired on television this week. Rabbi Joyce Newmark won $29,200 on the show, winning the episode and coming back for a second appearance the next day. Rabbi Jason and the JTA have more of the story. She says her being a rabbi did not really help her overall, but there was one bible related question, though a different contestant was faster on the buzzer, so she did not get to answer it. Here is a clip from the 2nd day of competition, where Alex Trebek talks to her about what it is like being a female rabbi. With her response she proves herself to have a witty sense of humor. There is an sexual molestation accusation against a staff member of a local talmud torah. The accusation led to his arrest, and if I am not mistaken he has since been released to house arrest to his house outside of the Bet Shemesh area. (standard operating procedure in these cases is to hold the accused for 72 hours and then release to house arrest during the investigation, unless there is suspicion that the accused might have access to and influence the victims or others involved and harm the investigation). I don't know too many details of what is going on, so I don't want to discuss it. I know some, and I have heard some rumors that I don't know if they are true or not, so that is not my topic right now. My question is, why do we hear about these cases in the haredi talmud torahs in RBS but not in the dati leumi schools and others? I am not wishing it upon other sectors, but the fact is that this has nothign to do with religion - it is a problem that crosses all kipot, no matter what color kipa you wear there are molesters and abusers in your community in similar percentages. It is a sickness (I dont know if that is what they call it nowadays but that is what I am calling it) that affects all sectors equally. Yet we seem to hear about it only in the haredi sector, at least locally. Why? Is it because people jump on these stories because it makes the haredim look bad but ignore them elsewhere because it is not a big deal? Do the dati leumi schools simply have a better way of hiring teachers and filter out people who potentially have these issues? Do the other sectors cover it up better? Do they report it quicker so it doesnt become subject to rumor and gossip? Why does it keep happening in the haredi schools but we don't hear about it elsewhere? Yoelish Krausze, sometimes known as the kambatz, operations officer, of the Eida Charedis, has been collecting copies of every pashkevil that has gone up on the walls of Jerusalem in the past 80 years. As an aside, someone once said that it is the glue of all the pashkevils that holds up the walls of Mea Shearim. 80 years worth of pashkevils is an amazing collection, and can paint a picture of a certain aspect of jerusalem's history. Whoever would have thought that some pashkevils would ever be worth so much? Amazing! The Middle-Eastern food industry has gotten highly competitive in recent years in the Middle East. Israel and Lebanon having been trading the world record for the largest plate of chumus in recent years. Last year Israel took the record for the world's largest falafel ball. 3 years ago a team from Qatar baked the world's largest pita bread. It is almost like the battlefield of the wars that have been too common has been adjusted to the battlefield of bragging rights. take a bite out of that falafel ball! Well, now, we have a foreign invader. Someone in California at the Santa Clarita Valley Jewish Food and Cultural Festival has claimed the world's largest falafel ball. He surpassed the previous record, held by an Israeli, by more than double, with the falafel ball weighing in at 52.8 pounds. What's as big as a beach ball, as heavy as three bowling balls, could feed a multitude and harkens back to biblical times? Try the world's biggest falafel ball, rolled out for the record books Sunday at the Santa Clarita Valley Jewish Food and Cultural Festival. "We have a winner!," said Dawn Walker, chef of Dawnsdinners.com, after weighing in the crusty colossus of 52.8 pounds. "We have the worlds' biggest. It's unbelievable." The 12.5-inch-high falafel, a spicy Middle Eastern snack made from ground chickpeas and fava beans, was certified at 5 p.m. for submission to the Guinness Book of World Records. 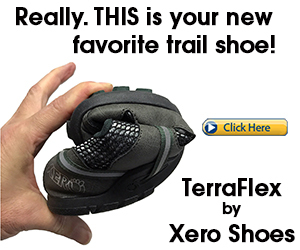 "It measured 3-feet, 10-inches round. Call it chick pea destiny. Organizers of the intimate Jewish festival in Santa Clarita had hoped to beat the official Guinness World Record falafel of 24 pounds. Only the falafel, prepared by an Israeli chef in New York last May, looked more like a garbanzo hockey puck. "Our goal was to have a beautiful falafel that was traditional," said festival volunteer Marlene Bernstein. Meaning it must be round. Succulent. And mouth-watering enough to compel a hunt for a blanket-size pita. More than 2,000 revelers who had flocked to the Jewish festival for Israeli dancing, a kugel cook-off and a run on Jewish food trucks had salivated for falafel greatness. Robert Ingram had waited since noon hoping for a falafel crumb. "It should have not too much crunch. The pita should be nice and toasty, not overdone. Tahini sauce. And it should all come together in one nice 50-pound falafel," said Ingram, 64, of Valencia, "constructed of pure enjoyment." For Dawn Walker and her husband Dan, it meant borrowing a portable barbecue. Getting some falafel mix, courtesy of Authentic Foods and Tarazi. And experimenting with a custom stainless steel mold. As the wind whipped through the festival grounds at College of the Canyons, two falafel lumps spent 8 hours in the oven vying for the record headline. At 3:21 p.m., the first ball emerged during a blast of klezmer music, and weighed in at a frightening 22.9 - whoops, kilograms - or 50.4 pounds, a would-be record breaker. The second emerged a couple pounds heftier at 3:30 p.m.
"Wow. I feel like David Caradine of `Kung Fu,' said Dan Walker, hoping not to drop the 145-degree winner. Many marveled at its garbanzo girth. And the musty aroma of its souffle-like caramel-colored crust. "It looks like a falafel. It smells like one. Of course, it'll taste like one," said Ric Royce, Dawn's dad, of Oxnard, who once supplied venerable dinner houses such as Trader Vic's. "It'll be the biggest - and the best - ever. "In my wildest dreams, I never imagined her to be the falafel maven." There was only one problem: because of health regulations, no one would be allowed a taste of the chick-pea chariot. Instead, they could only dream. "I think it's fabulous," said Sandi Hershenson, chair of the festival hosted by Chabad of SCV, Temple Beth Ami and Congregation Beth Shalom. "We are celebrating the joys of Jewish culture." "You're in the history books," added Leah Pollack, 39, of Valencia. "You know what's monumental? Jews in Santa Clarita. And we put on the world's biggest falafel ball." "That's disgusting," said Sandi's daughter, Emma Hershenson, 11, of Stevenson Ranch. "I hate falafel. I mean I hate falafel. But I do think this is monumental event." For the Walkers, the question was what to do with their monumental feat. "We're going to frame it," said Dawn Walker, known for her luscious brisket and matzoh ball soup, as well as for catering to special diets. "Put it in a Lucite box. Shellac it. Put it in my living room. "We'll be smelling falafel forever." Now someone has to put him together with the guy from Qatar with the pita bread and the guy from lebanon with the plate of chumus, and we have a world record portion of falafel!